Jor’Dan Armstrong Releases New EP, “2 BLSD” | EP “3 BLSD” Coming Aug. 31st, 2018 | LISTEN TO NEW MUSIC! | TheUrbanMusicScene.com | The Youth Spot! Atlanta, GA: Jor’Dan Armstrong has done it again and surprised listeners with a new EP “2 BLSD”. 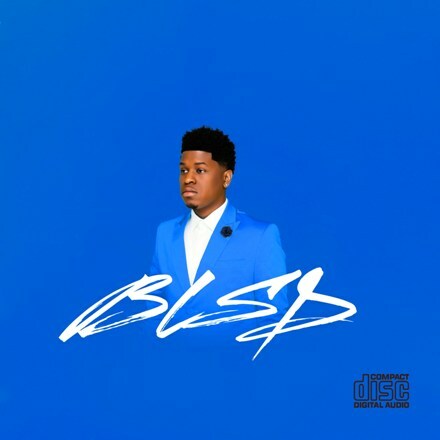 His last EP “BLSD” Part 1 peaked at #2 on the itunes Christian and Gospel charts and several of the songs were added to popular spotify playlists such a Spotify’s – New Music Friday Christian, Rapzilla’s – God Flow, and Lifter Today – New Music. The project is entitled “2 BLSD” short for Too Blessed (A double blessing, overflow). This EP is an extension of part 1 but with a bit of a different sound and vibe. Listeners will hear some early 90’s new jack swing, some 70’s funk, and some early 2000’s hip hop. For this project Armstrong tags Bizzle, 1kPhew, and Yanna Crawley. The EP’s are produced by Jor’Dan Armstrong and a team of talented producers Jeshua “TedyP” Williams, Darius Scott, Tracksion, and Juice Bangers for COBRA. BLSD (Part 1) was released on July 6th. 2 BLSD (Part 2) was released today and 3 BLSD (Part 3) will be released on August 31st. In the meantime check out his latest single “Tomorrow”.